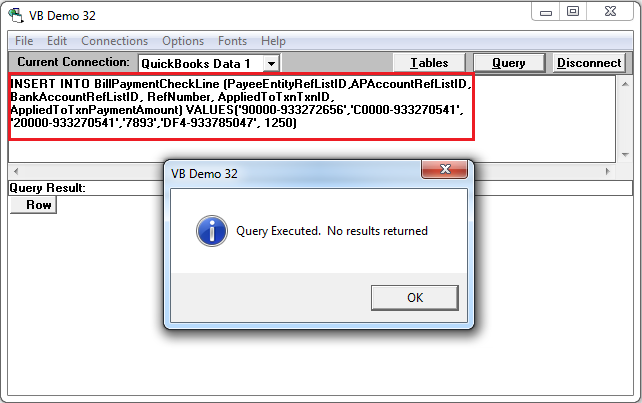 In the BillToPay Table - How can we select invoices for payment using QODBC? We would like to have the Checkmark Selected for the respective invoice. 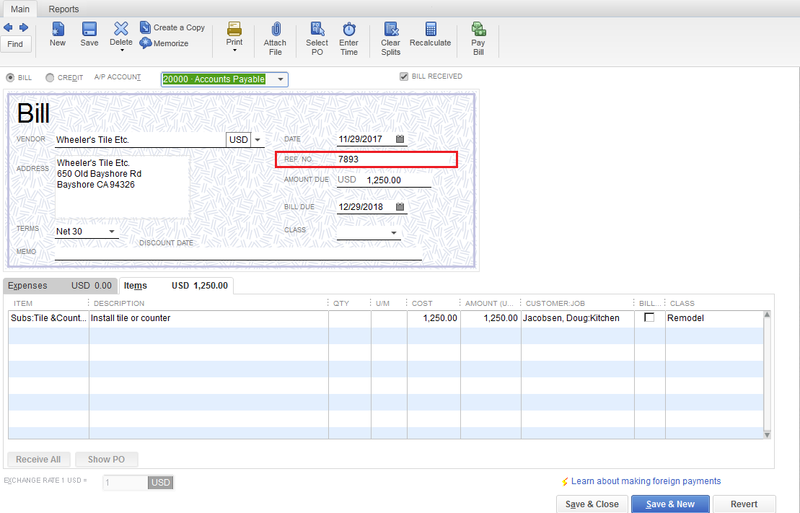 You will have to insert BillPaymentCheckLine marking the Bill as Paid. 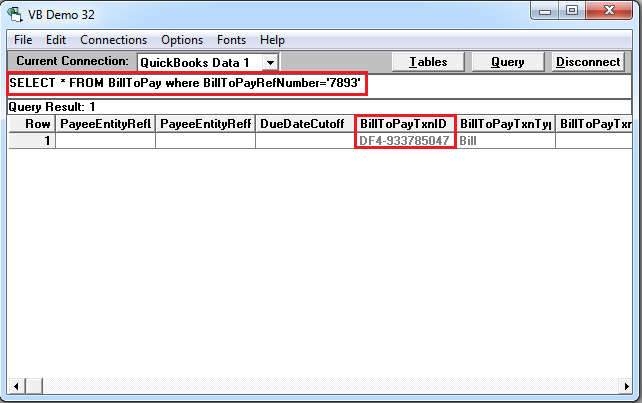 First, You need to query BillToPay table for Bill which you want to pay. 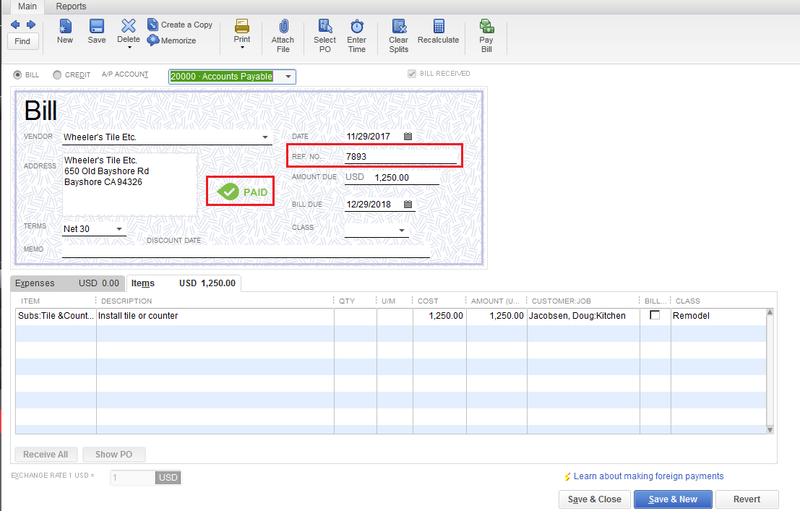 You need to use below query to marking the Bill as Paid. PayeeEntityRefListID = '90000-933272656' (Required) VendorRefListID from Bill table. APAccountRefListID = 'C0000-933270541' (Required) APAccountRefListID from Bill table.